A super quick and easy vegetarian pasta casserole recipe. This is a great way to use up any leftover cooked pasta you have lying around. Just "dump" a few ingredients into a dish and bake. Although you do have to cook the pasta beforehand, this baked pasta casserole only has five ingredients, so it really can be a time saver on a busy night. What to do with all the extra time you'll have on hand by preparing such a simple and easy dinner as this one? Make a fresh green salad to go along with it or try baking a simple whole wheat dinner roll. Why not? 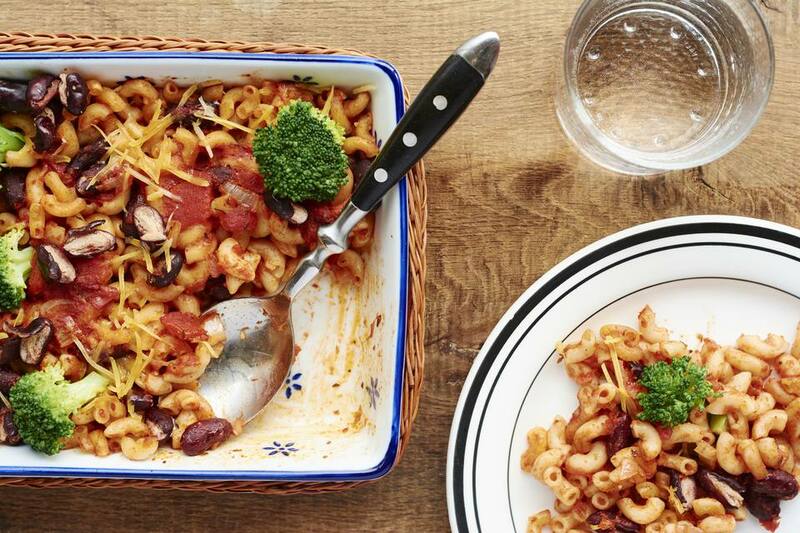 Pasta and bean casserole recipe courtesy of Bush's® Beans. Prepare pasta according to package directions. Drain and return to saucepan. Stir in diced tomatoes, kidney beans and spaghetti sauce. Transfer to 2-quart baking dish and top with shredded mozzarella. Bake until cheese is melted and golden, about 40 minutes. Enjoy your easy pasta bake for dinner!